The Adventures of Maui Don - Dolphin Dude: And the Winner Is . . . These ladies definitely win this morning's "Best Hat on the Beach" award. 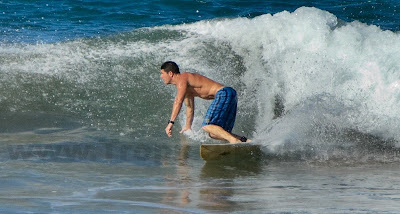 Surf is still up on South Maui beaches and these are a couple of snapshots from the shore this morning. 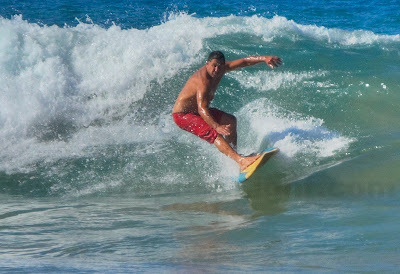 What I want to know is, where are the surfing wahines?